I’m really not much of a drinker, but a good fruity martini is always a favorite of mine. This drink has the perfect balance of mango and alcohol. I usually go a little light on the alcohol, but you can always bump it up a notch if you’d like. If you enjoy a good tasty martini you are going to love this drink! Packed with fruit flavor with a hint of alcohol. 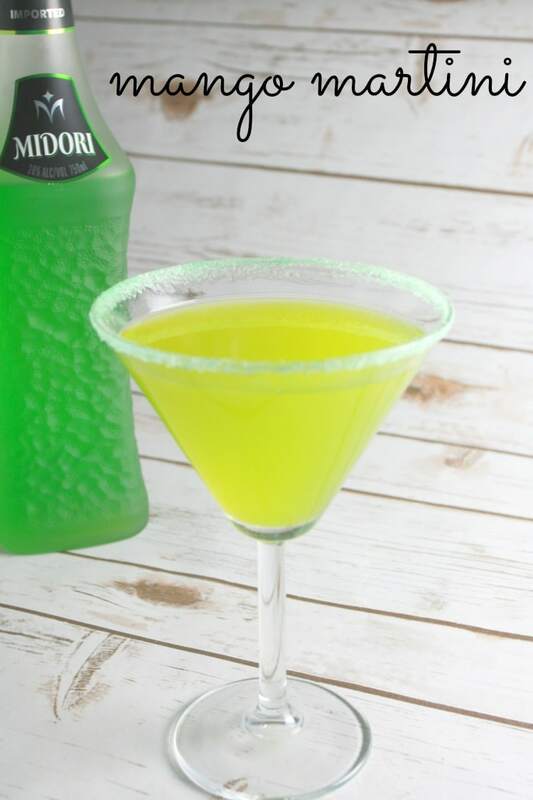 Pour the Midori, Vodka and mango juice into a cocktail shaker and shake well. Garnish the rim with sugar and then pour your drink into your martini glass and enjoy! Yes, it’s seriously that simple! This looks delicious. I saw your link on Treasure Box Tuesday. With mango in the title I had to stop by to have a look. I’m glad I did. Pinning! Okay, this one is a keeper! Linking up from Wine’d Down Wednesday! I love mangos! Now I just need to get my husband to shake one of these up for me! They are so yummy! I’ve also made with Guava, so good! Now this is something that I have not ever had. Will have to save for later. Thanks for linking up to our A Little Bit of Everything Link Party! Looks yummy! I don’t think I’ve tried this drink. I’ll have to sometime. Jenny recently posted…Carseat Canopy Only $14.95 (reg $50 + shipping) – Perfect Baby Shower Gift! 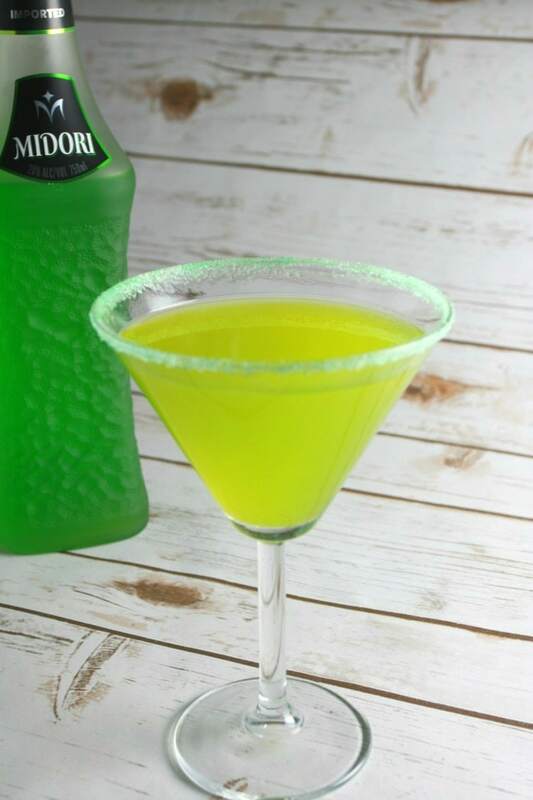 Mango and Midori two of my favorites. Will be trying this recipe soon! Never tried it so now I’m curious.